Players from the entire region are invited to participate in this golf tournament with a cause that will take place on November 18, 2017; there will be incredible gifts, including a helicopter ride. 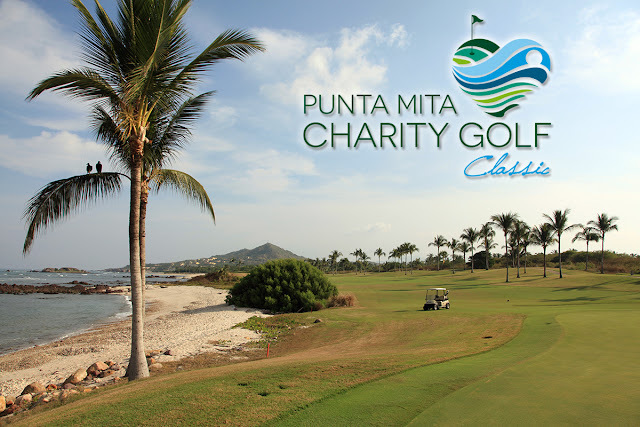 The Punta de Mita Foundation is pleased to extend invitations to its community fund-raising events, among them the Punta Mita Charity Golf Classic, set to take place next November 18 at the Punta Mita Bahia golf course. This is the first time the tournament is open to all players regardless of their membership status. The game format is Foursome A GoGo. There will be incredible prizes, including a helicopter ride to the airport or its equivalent in time (11 minutes for up to six people for whoever makes a hole-in-one (valued at $2,749 USD) sponsored by Interavia Group. Raffles will also part of the fun, including two nights in a Four Seasons Casita, a marine safari, flotation therapy at the St. Regis Punta Mita Resort, and many other surprises. Organizations on the receiving end for funds include Peace Punta de Mita, the Punta de Mita Foundation and the Community Project; the money is earmarked for a center that will be a focus for cultural and personal enrichment in the northern area of Bahia de Banderas. The Riviera Nayarit Convention and Visitors Bureau (CVB) and the Bahia de Banderas Hotel and Motel Association (AHMBB) are known for hosting dozens of tourism events throughout the year, but they also lend their support to non-profit entities with the firm intention of becoming involved in social charity projects, with the endorsement of the Nayarit State Government through the Tourism Promotion Trust (Fiprotur). Registration begins at 7 a.m. for tee time at 9 a.m. The fee is $200 USD. For tickets: concierge@puntamita.com | Tel. (329) 291 5168.
info@fundacionpuntademita.org | Tel. (329) 291 5053.